Going long-distance is tough. Being in a relationship when you live a few blocks away from one another is already hard enough. The idea of being hundreds of miles away from your loved one seems daunting, or at the very least problematic. It’s like your partner vanished from your life, but not entirely. You can’t have any of the good stuff, like cuddling up in front of a TV, or backrubs, but you get to keep the quarrels, jealousy, and all your insecurities. Is there a solution How You Can Use Technology To Spice Up Your Relationship How You Can Use Technology To Spice Up Your Relationship Being in an relationship is exciting, isn’t it? There is so much to enjoy about being with that special person in your life. However, there might be times (more for some than others) where you... Read More ? 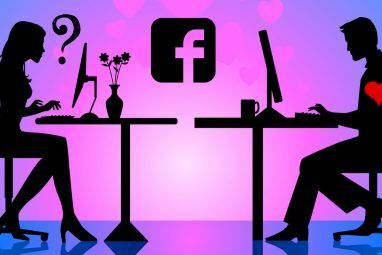 Well, we’re no psychologists, but we did an extensive internet search to find out if and how technology can help you keep your long-distance relationship. 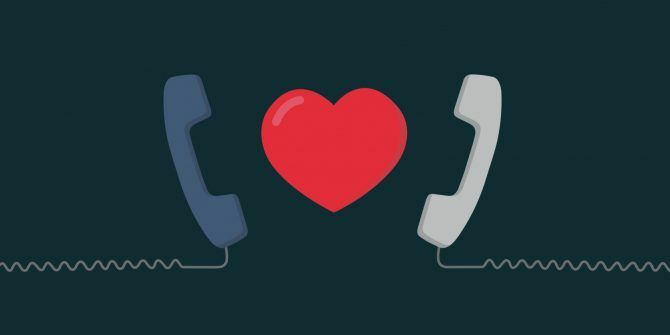 Indeed, the web is full of advice How Can Technology Help A Long-Distance Relationship Succeed? How Can Technology Help A Long-Distance Relationship Succeed? Read More on the matter. It almost seems like there’s nothing that technological progress and a good internet connection can’t fix nowadays. Already using Whatsapp, Facebook How Does Facebook Hurt Or Help You And Your Relationships? How Does Facebook Hurt Or Help You And Your Relationships? Love it or hate it, Facebook is here to stay. Almost everyone you know probably uses the social network, and it's hard to stay away from it. Read More , and Skype to communicate with your loved one? What if we told you that you can not only maintain the late night conversations and romantic texting but also send your partner a warm cuddle, kiss, or even a physical hug? And that’s not even the end of it. We’ve put together a small collection of some useful (and not so useful) gadgets (and apps) which promise to keep the spark between you and your partner during this difficult period of your relationship. Whatever first popped into your head – the gadgets we’re about to introduce you to are more advanced and interesting, also sometimes hilarious. 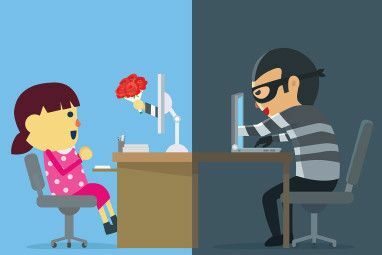 So buckle up for some of the weirdest internet inventions in online dating 4 Online Relationship Tips That Actually Work 4 Online Relationship Tips That Actually Work There are plenty of examples to show that Happily Ever After is attainable for online and long distance relationships. Here are some of the best tips and advice to keep you on the right path. Read More . Ringly is a brand that produces smart jewelry and accessories, the smart wearable technology that connects to your smartphone via Bluetooth. You can receive customized mobile alerts through vibration and color-coded lights. That way, with Ringly smart bracelets and rings you will never miss a message from your loved one again, quite literally. According to Ringly, their accessories are water-resistant, although not waterproof, which means they will only survive water splashes and not a direct contact with water. In addition, they have a fitness tracking function, and can even help you with daily meditation sessions Find Peace of Mind Through Mobile App Meditation Lessons Find Peace of Mind Through Mobile App Meditation Lessons Meditation is one of the healthiest habits you can start this year. It doesn't have to take more than a few minutes every day and you can do it anywhere. Read More . This somewhat creepy video clip is actually an ad for an app called Touch Room. The main purpose of the service is to bring back one thing that we miss out on when we’re away from our partners: their touch. After you download the app, you can create a “touch room” for you and your partner. The parts of the screen your loved one is touching will light up and give you a comforting buzz when your fingertips virtually touch. While it certainly won’t replace a physical hug, with Touch Room you and your partner can practically hold hands. Price — Free on iTunes. Without is an app “for couples who like each other”. Its main purpose is to do the sad math for you and count the days you’ve been apart. Although this app doesn’t come close to physically saying or hearing “I love you”, you and your partner can exchange selfies with sweet notes, as well as see each other’s location, local time, and even weather. Those of you feeling more optimistic than counting the days you’ve spent without your partner can opt for Dreamdays — a countdown app that will help you track the days left until you’ll be seeing each other next. Perfect to build essential anticipation and excitement for your future meetings. You can also use it to make notes and remember important dates like birthdays or anniversaries. Price — $0.99 on iTunes and Google Play. LIT (read Love Inspired Tech) is one more gadget invented with a promise to, once again, save your long distance relationship (or at the very least, make it more bearable). It’s achieved by improving your video chat quality, and by allowing you see your partner just as you would in a natural light, no matter the time zone. The device is compatible with your laptop, desktop, smartphone, and tablet, has 18 warm LEDs and charges from a micro USB cable. The great part is, with LIT you can finally get creative and set up a distant date in a dimly lit cafe, or have a late night chat without having to imagine the parts of your partner’s face that you cannot see. If you feel like Facebook Messenger, Snapchat, and other messaging apps are getting too crowded for you two, consider switching to Couple: a social network app for just the two of you. Aside from sending private messages, you can enjoy the network’s features like sharing photos and videos, as well as lists and calendar events. Using your shared timeline you can keep on making plans and setting dates even when you aren’t physically together. Some extra perks include a “thumbkiss” function (similar to the one in Touch Room) or creating drawings together in Live Sketch mode. Price — Free for download on iPhone, Android, and on the Web. It’s particularly hard to be apart when you used to know your loved one’s every step. Glympse is an app that allows you to share where you plan to be in a specific period of time. You set who can see you and for how long — perfect for letting your partner track your trip when you’re on the way to see them. They can receive your Glympse notifications from mobile, tablet, or desktop. A word of warning though, location-based apps are probably not the way to go if you’re known for having some control issues. Clearly, this would only fuel them and bring you more frustration than anything else. Price — Free for download on iPhone, Android, Windows phone, and on the Web. For Apple fans, there’s another thing that you can use to send your love and thoughts from afar. 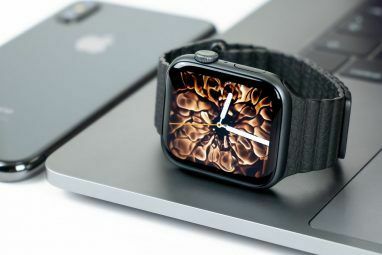 Digital Touch is an Apple Watch Get Ready for Apple Watch with These 5 Sites Get Ready for Apple Watch with These 5 Sites Excited about the Apple Watch? Here are the best sites where you can find out more about it. Read More feature that will let you send sketches, taps, kisses, and even your heartbeat to your partner, as long as they also have an Apple Watch. When you receive taps or someone’s heartbeat you can physically feel it on your wrist. You can also control the duration of both your taps and your heartbeat before you send it. Price — The feature is free as long as both you and your partner have an Apple Watch. At the end of the day, we’re not here to give you relationship advice The Internet's Worst Dating and Relationship Advice The Internet's Worst Dating and Relationship Advice Most dating advice on the web is awful. Here's the worst of it. Read More . Every couple is different, which makes every problem they have personal and individual. At the same time, if you find yourself struggling to keep it together, here are a few ways to use technology to help you maintain a happy long-distance relationship. Of course, Netflix and chill Netflix and Really Chill: A Quick Guide to Slow TV Netflix and Really Chill: A Quick Guide to Slow TV Slow TV is a strange phenomenon you may not understand, with people watching hours of footage of really boring activities. It's strange, but is it worthwhile? Let's find out... Read More won’t be the same without the part where you actually “chill”, but it’s a decent alternative to watching TV on your own. And there’s an infinite number of ways to do it. You can discuss the movie live on chat, have a small session in the middle or at the end of the movie to share your thoughts and theories with your partner. What if your physical worlds happen to be separated? Sync up your virtual words to make up for it by playing some online games together. Inspire and motivate one another during morning breakfast meetings. The point is not to have breakfast together (though feel free to do so) but to give each other an energy boost for the rest of the day. Make it a late night coffee catch-up if neither of you have time in the morning. While showing up at their doorstep unannounced is certainly a great surprise, it can have your partner shocked, and not in a good way. In order to stay on the safe side opt for little gifts to remind your loved one that you’re thinking about them. Amazon and Etsy have you covered with an infinite range of items and flexible delivery terms. Is your special one into flowers? With services like ProFlowers and Teleflora you can send them customized real-life flower bouquets from anywhere in the world. They accept PayPal payments, so your life couldn’t be easier. One of the best ways to keep your long-distance relationship stress-free is to have a clear plan. How long are you going to stay apart? Why are you doing it? And most importantly, when are you seeing each other next. internet and gadgets will help you with everything else. It’s time you share with us. What technology are you using to fuel your relationship? Would you try any of the gadgets from our list? Please share your experiences in the comments below! Explore more about: Apple Watch, Gadgets, Online Dating. LOVE SPELL TO GET BACK YOUR PARTNER. It was unfortunate that his ex gf decided to contact him to get him back the moment we planned to build a family together. I was hurt for seeing him confused and indecisive after I sacrificed time, energy, heart, life, money, soul for him only for him to pay me with heart break by saying that he is now unsure of our relationship. He developed an attitude of becoming cold and distant towards me. I know he loves me very much for the past 4 years and I love him more before his ex tries to steal his heart.I was advised by a good friend of mine to fight back both physical and spiritual if I truly love him. Her advised encouraged and lead me to posts and site that talks about love spell from Dr. Amigo it was my first attempt but I took the opportunity that came once which Dr. Amigo provided via his email. It was said and done by Dr. Amigo, I never knew his ex used evil powers on him. I fought a good fight which I and my lover are very proud of after his freedom and decision to continue with me until we get married, his ex has vanished from his life. I never doubted Dr. Amigo for once, he proved his worth. Thanks for your time "Google his name as Dr Amigo the online spell caster" for a review of his articles. The Avocado app is closed. You can replace it with the Between app.